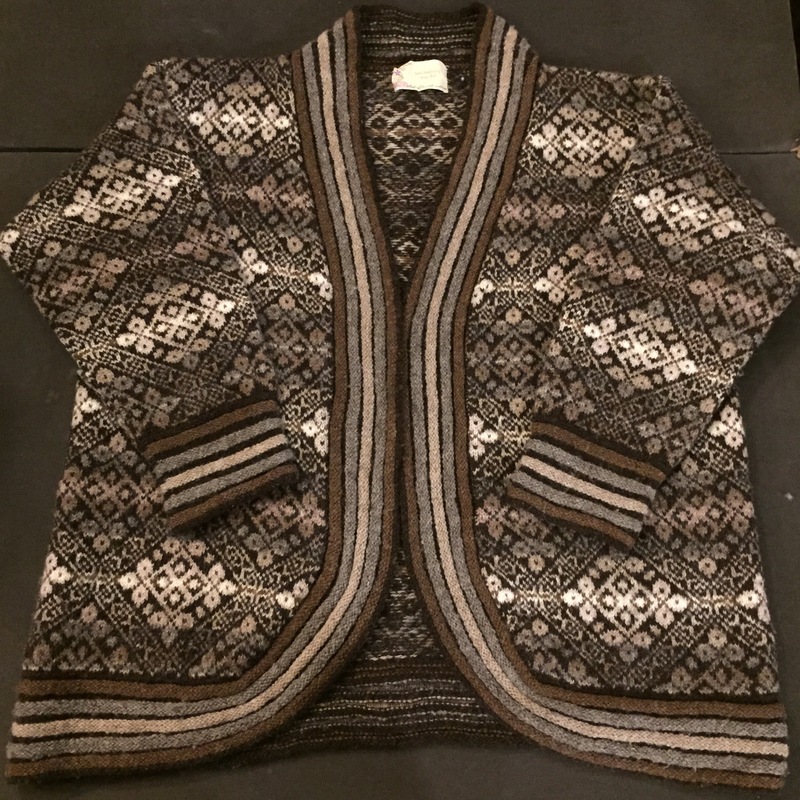 Cardigan designed and knitted by Anna Bell Bray, a noted creator of traditional Shetland garments. Mrs. Bray's work is distinguished by her extraordinary use of dark and light values for maximum visual impact, and by the couturier details and finishes she gave to each garment. This garment is unusual for its fashionably curved front, and dramatic, modern-looking garter stitch borders. 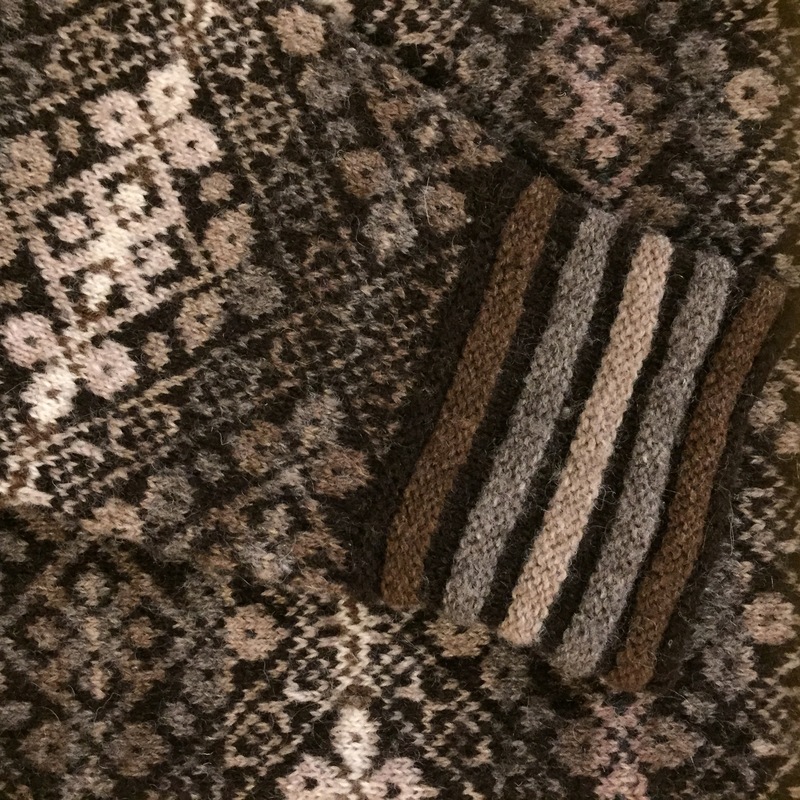 Mrs. Bray knitted using a traditional knitting belt and long, double-pointed steel knitting needles. She used 100% Shetland wool yarns. It is likely that the yarn she used to knit this sweater was "Shetland 2000." 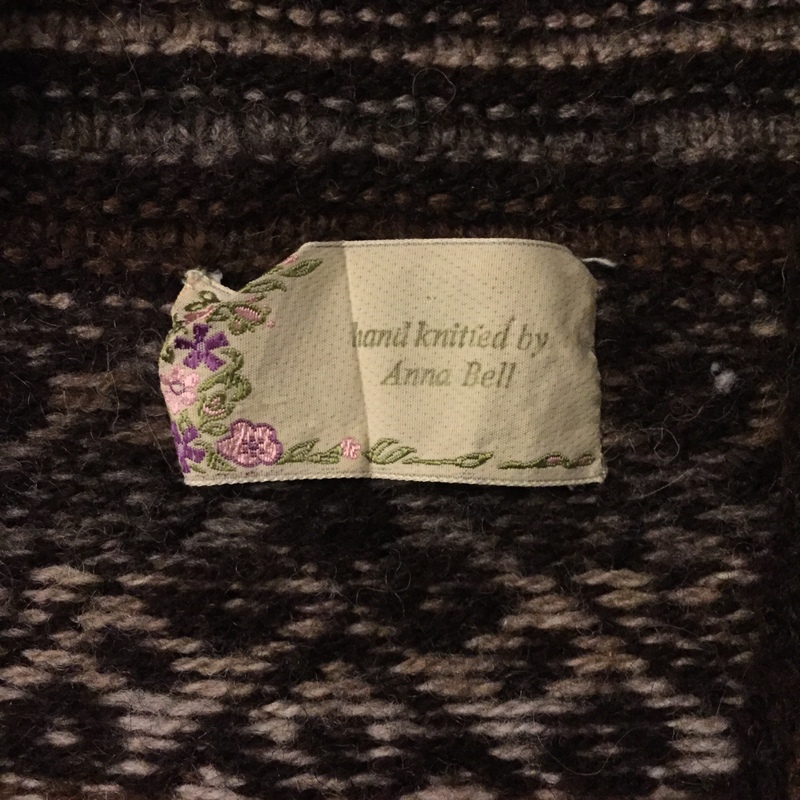 Since her death, Anna Bell Bray’s importance to the contemporary history of Shetland knitting is honored annually at the Cunningsburgh Agricultural Society Show when the most promising knitter is awarded the Anna Bell Bray Prize for the best hand knitted Fair Isle Garment. 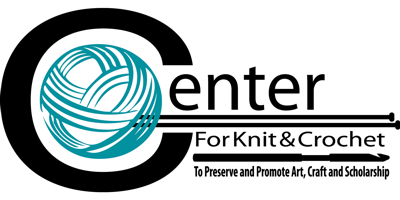 Purchased and worn by Betty Lindsay, co-owner of Yarns International in Bethesda, Maryland. Mrs. Lindsay was instrumental in developing a line of naturally colored Shetland yarns in cooperation with Oliver Henry, Manager of the Jamieson and Smith Woolen Mills. Called "Shetland 2000,” the joint venture created an enduring market for the full range of colors naturally occurring in Shetland fleece, and helped to preserve the colorful and variegated characteristics of Shetland wool and Shetland sheep at a time when white fleece was preferred for overdyeing on an industrial scale.